Attract more resellers and grow revenue faster with Rev.io’s powerful suite of tools built for partners. Rev.io’s white label solution makes it easy to bill-on-behalf-of your customers. Complement your existing offering with our white label telecom billing, reporting, and tax management platform. Empower your team to deliver fast and accurate customer service with unified customer profiles, unique customer tagging, and detailed customer support notes. Bill-on-behalf-of resellers easily with Rev.io’s customizable and scalable billing platform. 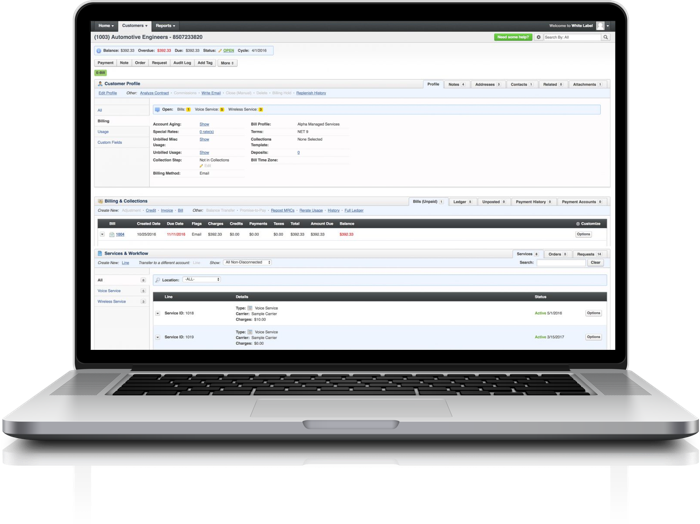 Resellers will enjoy the flexibility to configure pricing and white label billing for any service. Take the guesswork out of compliance with taxation you can depend on. Our SaaS billing software system comes with everything you need to grow. Our bill-on-behalf-of solution helps providers more effectively onboard new customers, accelerate revenue capture, improve efficiency, and reduce overhead – all using one system, in real-time. Enjoy full visibility and service your customer’s accounts with detailed support notes. With integrated reporting, you’ll gain valuable business intelligence to make the most profitable decisions. After starting with Rev.io’s white label solution, Skyswitch saw a 157% increase in revenue and doubled the number of new resellers YoY. Working with Rev.io has been a great experience for us. You can tell from their responsiveness, that you’re working with a professional organization. Their integrated platform made it possible for us to provide specialized support and onboard new resellers quickly. Ready to win more resellers? 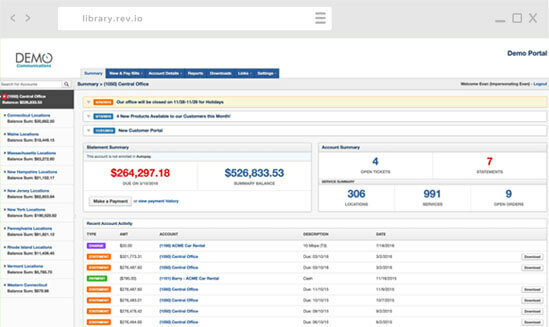 Take a tour to see how you can power up your white label service offering with Rev.io’s powerful billing and CRM solution.